I took great pride in my work for elective classes in high school: often more than I did for my academically required courses. I played tuba in multiple bands, acted in most of our school plays, competed in speech and debate, and wrote for the school newspaper. Now, of course, the fact that I chose my electives was a motivator, but the biggest difference between those classes and my others was the audience. I knew that my work would be on display for my peers and the larger community, not just the teacher. I practiced and practiced the tuba solo in the Holst Suite because I knew how many people would be listening. I carefully revised and edited every submission I wrote for the Timberwolf Times because all of my friends and teachers would read my work. I did fine on the papers that I wrote for my teachers' eyes only, but I rarely put the same type of effort into those assignments. Coursework in the arts and many electives has always given students an authentic audience, while work in other classes is done solely for the instructor. Why? Personally, it wasn't something I thought about much until recently. 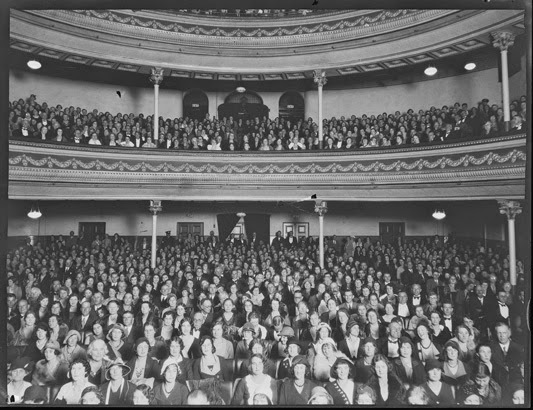 In the past, I had my students imagine an audience for their writing, but we rarely wrote for a real audience. This year, I'm starting to give my students real audiences for presenting their work. I've seen how sharing their work with a broader audience motivates and inspires many of my students. Still, I know I can do more and I want to hear your ideas. These are the questions I have in mind, but they are subject to change as you contribute ideas throughout the week. 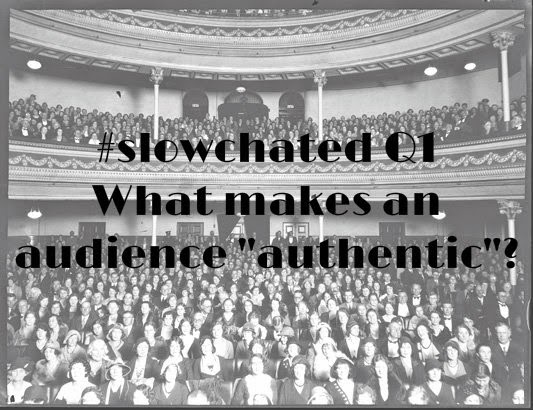 Q1 What makes an audience "authentic"? 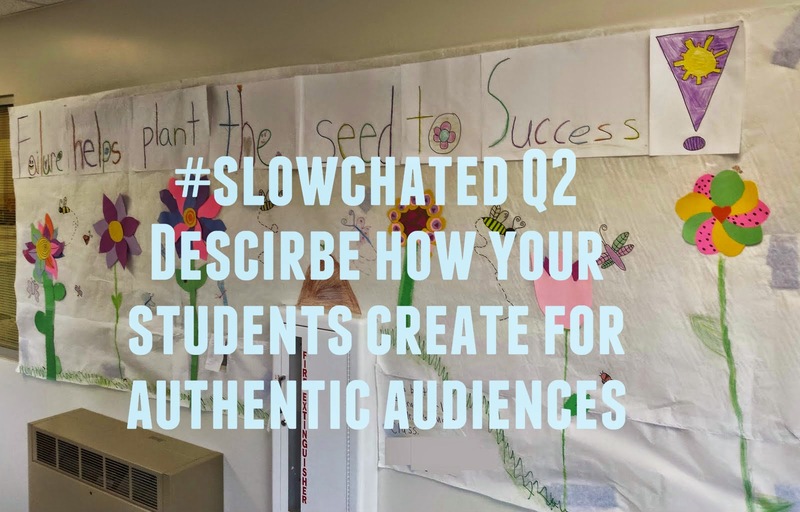 Q2 How do your students create for authentic audiences? 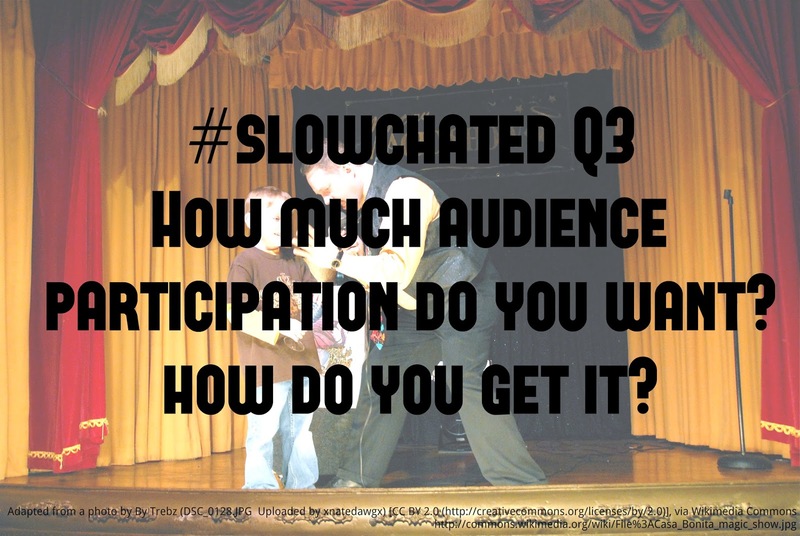 Q3 How much audience participation do you want? How do you encourage or discourage it? 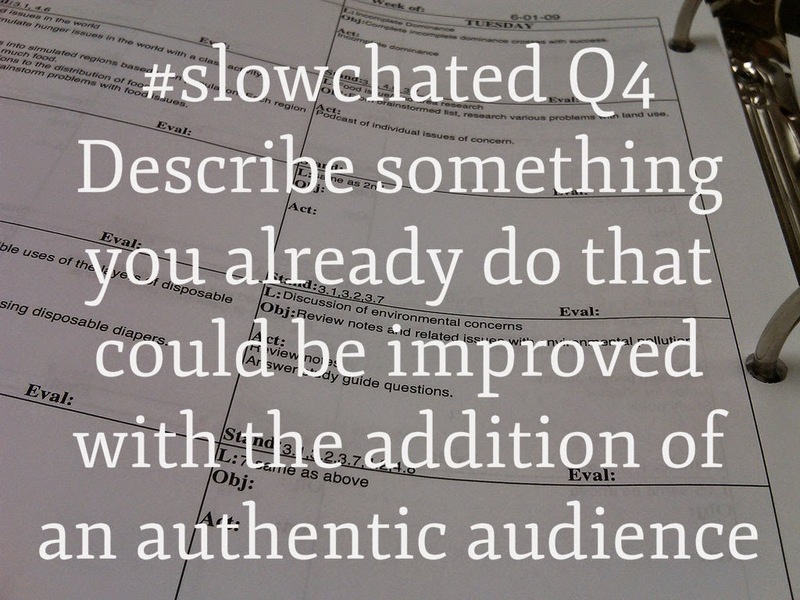 Q4 What is something you already do that could be enhanced with an authentic audience? Q5 Where do you find an audience? 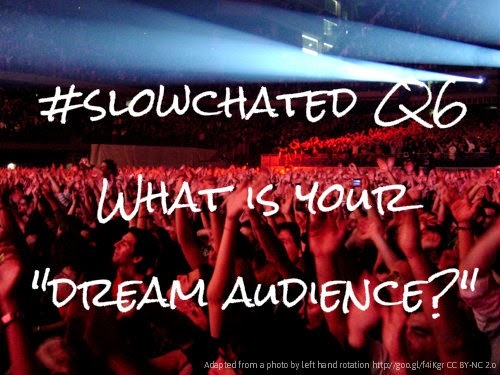 Q6 What is your "dream audience" for student work? 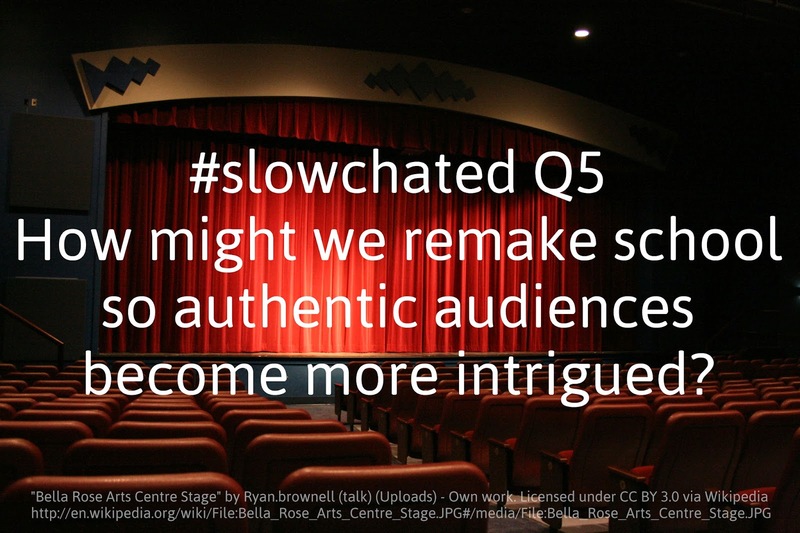 I'm eager to discuss this with you on #slowchated and I hope that you will take full advantage of the slow chat format. We have a whole week to find and post links, photos, and blog posts. Best of all, we have an authentic audience in each other, and audience participation is required. Ask questions, challenge assumptions, and learn from one another!